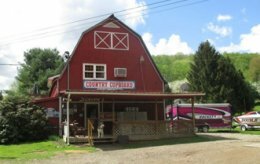 Slaven’s Country Cupboard on 26 Dairy Lane in Bradford, Pennsylvania, is your one stop fun stop to stock up on all your camping and fishing needs for your vacation. 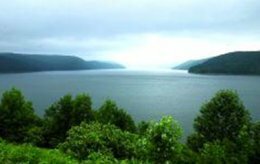 Kayak rentals for use in the nearby Allegheny National Forest streams and the Allegheny Reservoir are available. Slaven’s Country Cupboard offers a variety of items for your next outdoor adventure – rent a kayak to spend the day on the water, or buy groceries, pop, ice, ice cream, souvenirs, gas, firewood, live bait, and tackle for all your camping needs. Kayak rentals are $35 a day and include a life jacket.